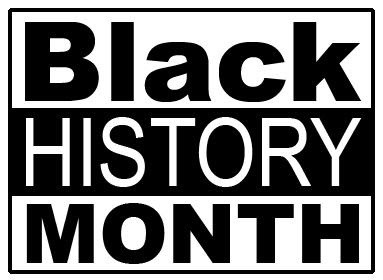 Not February, but October is the Black History Month in the UK. This means an entire month full of events, music and debate about the presence of black people from the Caribbean and Africa in the UK. To celebrate BHM a video of the Windrush legacy, West Indians in the UK in World War II and the poem "What it Means to be Black" of Jason Nwansi. And a video of Beyonce singing the national anthem of Nigeria, to celebrate the 50th anniversary of the independence of Nigeria. An important landmark of the history of the Afro-Caribbean community in the United Kingdom is the arrival of the Empire Windrush in 1948 in the harbour of Southampton. The Empire Windrush arrived on 22 June, carrying 492 passengers from Jamaica wishing to start a new life in the UK. The passengers were the first large group of West Indian immigrants to the UK after the Second World War. Most of them only intended to stay in England for five years, but most of them stayed. The poem "What it Means to be Black" written & performed by Jason Nwansi. Also part of UK's Black History is the celebration of 50th anniversary of the independence of Nigeria. So, a gift from Beyonce. In the video she sings the national anthem of Nigeria "Arise, O Compatriots". I am not Nigerian, but it gives me goose bumps when I listen to it. Thank you for listing our Black History Month agenda on your wonderful blog. Alice, you're welcome. Congratulations with the Black Blogger Award. Great job promoting UK Black History Month. I live in North America but it's given me the opportunity to to learn about the common heritage we in the diaspora and the motherland share and the common challenges we have had to face and overcome. I believe that efforts such as yours can be instrumental in creating the bridge we need to better work together. Prospector, thanks! I visited your blog and learned something new today.